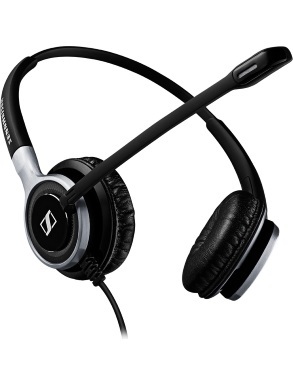 The Sennheiser Century SC660 is a premium Binaural corded headset for all day use with desk phones in busy call centre or offices and are designed for quality conscious professionals requiring HD voice clarity, durability and all-day comfort. It is built to withstand the rigours of the toughest call centre or office. Conversations are crisp and clear for you and your listener, even in noisy office environments. Ultra noise cancelling microphone optimises speech intelligibility by reducing unwanted background noise. Crafted with high-end materials to ensure maximum durability and design quality. Stainless steel hinges, brushed aluminium parts and Kevlar cables are just parts of our armoury when it comes to defending your headset against everyday use.